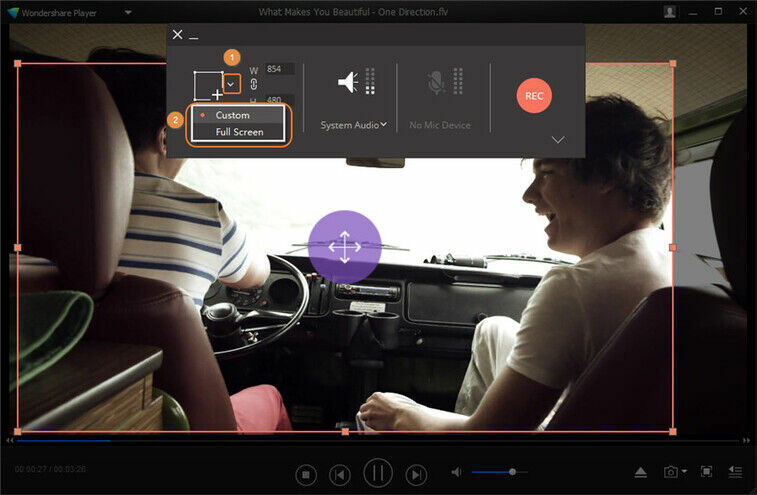 The built-in screen recorder tool aims at making video tutorials, recording streaming videos, Skype/FaceTime video calls and any desktop activities with audio simultaneously. The following are detailed step-by-step guide for your reference. 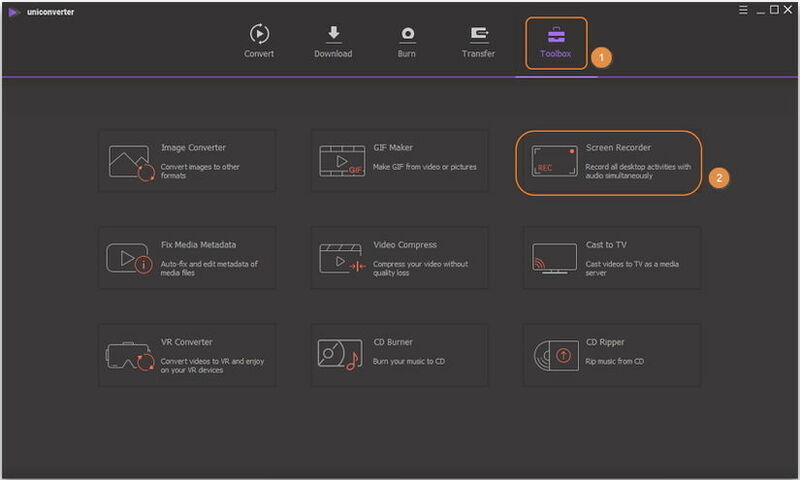 Run Wondershare UniConverter (originally Wondershare Video Converter Ultimate) after installation, and then click Toolbox section in the top to choose Screen Recorder. 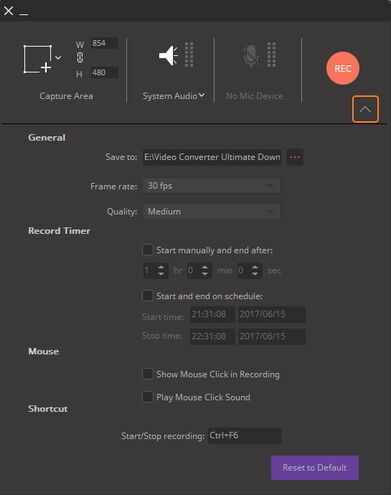 You’ll get a screen recorder window as below to set your recording preference. You can drag the cross icon in the middle to move the whole frame, pinch the edge of the frame or directly enter specific width and height to adjust the recording area. 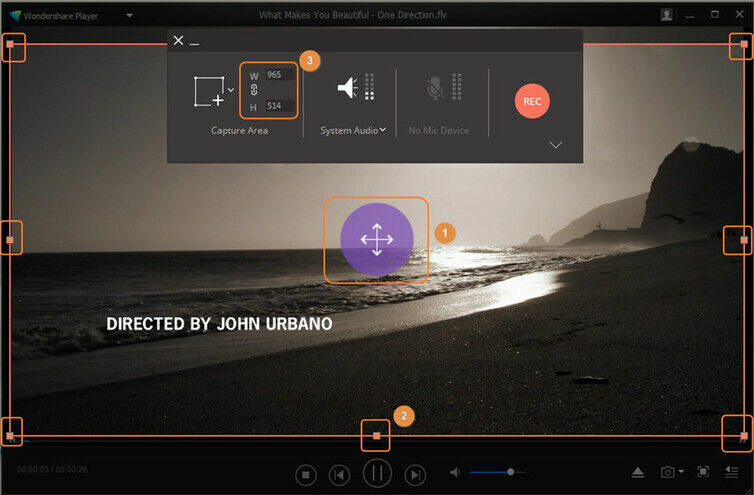 Alternatively, you can click the drop-down icon in the Capture Area to choose Custom or Full Screen recording mode. 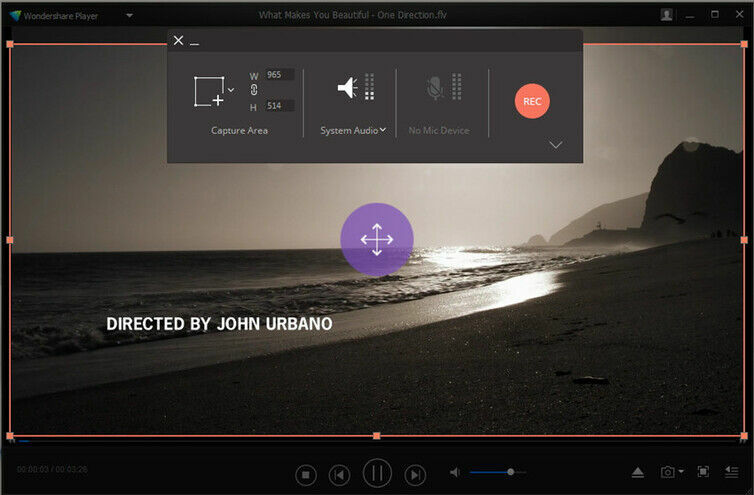 Custom mode allows you to drag the recording area as you wish, while Full Screen mode records your desktop screen. Click the drop-down button to view the whole recording settings. You can set record timer, shortcut button and other general information, such as file location, frame rate and quality. Click the round REC button to start recording. And you’d have 5 seconds countdown to prepare. When the recording ends, you can click the Stop button on the right of the recording task bar or press ESC key to stop recording. 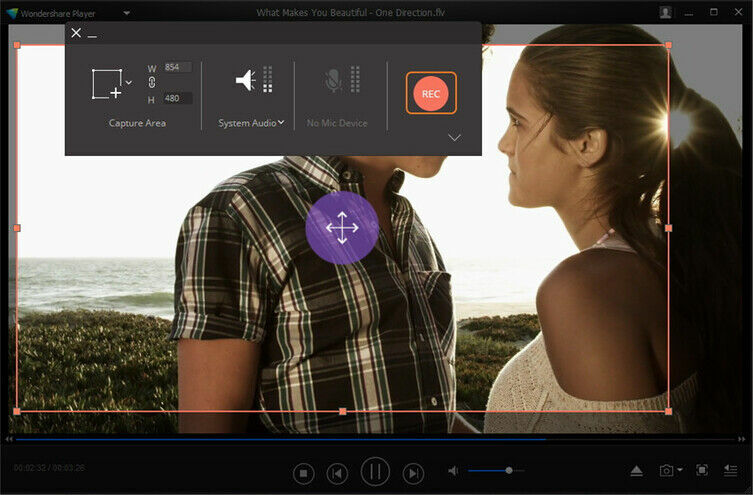 Note: You can also tab Ctrl+F6 shortcut to stop recording, which can be set in recording preference mentioned in Step 2. Now a file folder named UniConverter Downloaded would pop up displaying the just captured video for you.